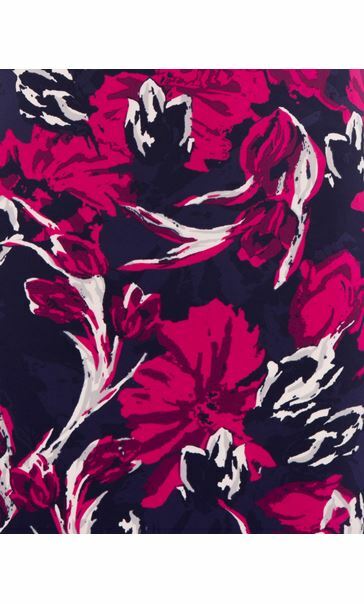 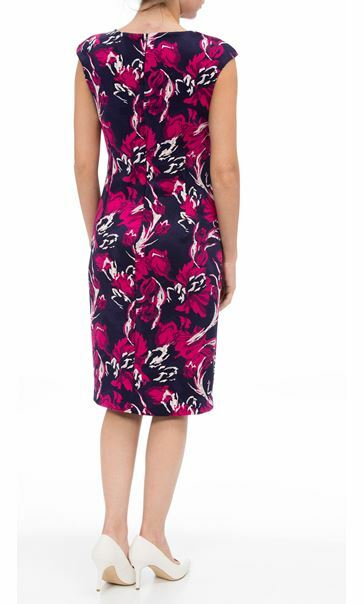 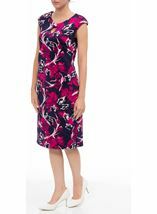 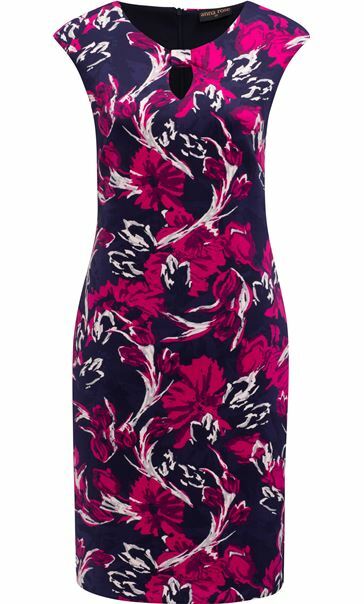 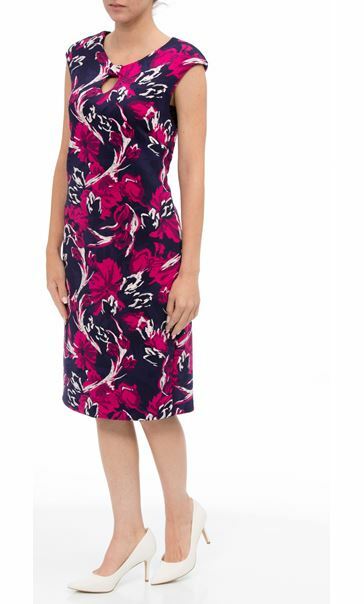 Turn heads in this navy and magenta floral printed midi scuba dress, fully lined with concealed back zip fastening, sleeveless cut and finished with a flattering round neckline. 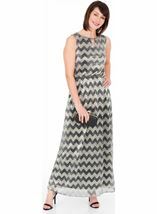 Perfect to take you from day to night in style. 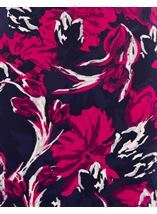 Back length 98cms. 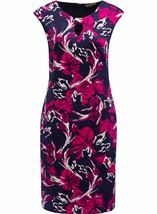 Excellent fit, looks as expected, arrived on time , all round excellent service.